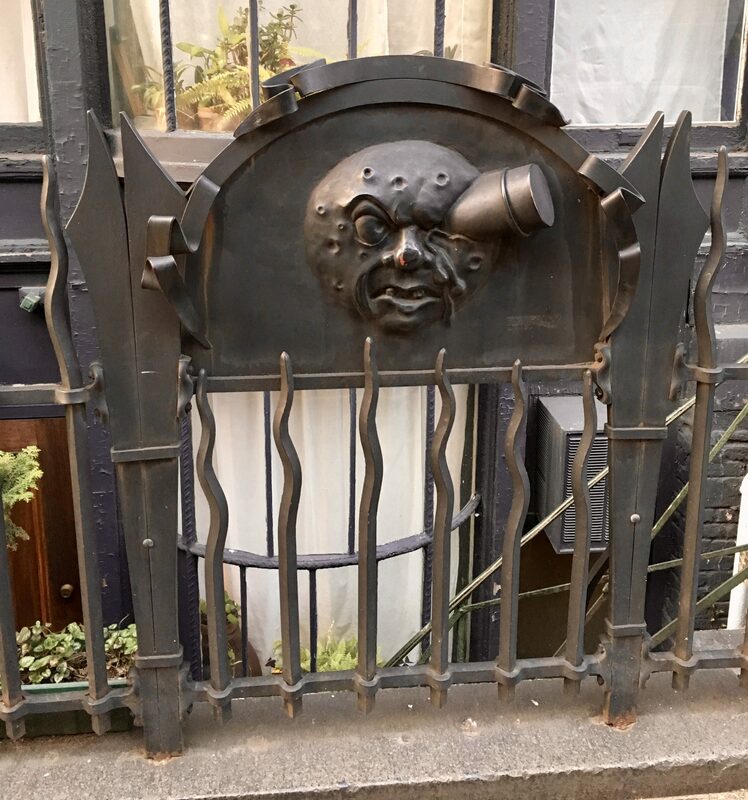 Check out this cool custom gate that caught my eye as I was walk around in Chelsea the other day: the design is based on the iconic image of the Man in the Moon (with a space capsule embedded through one eye) from the 1902 French adventure film, A Trip to the Moon. 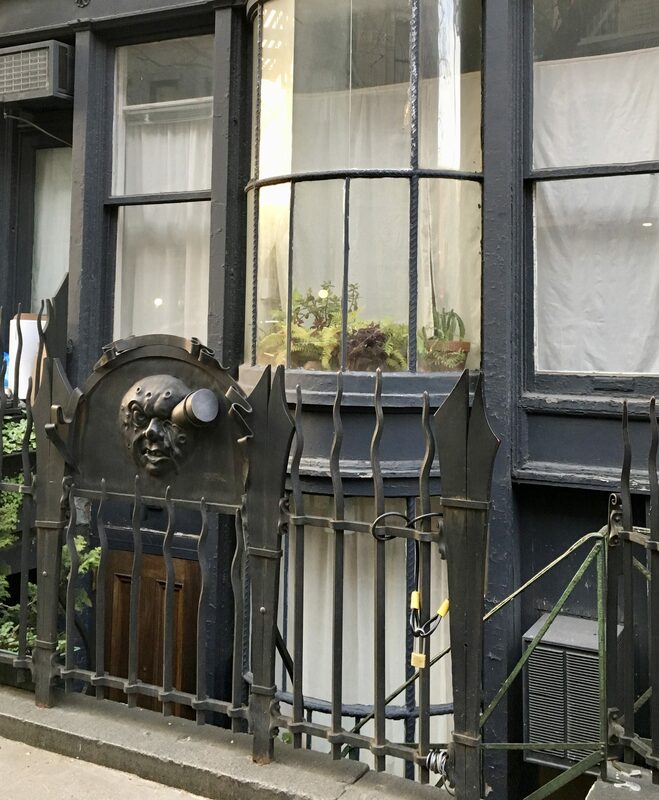 Spotted on 21st Street between 8th and 9th Avenues in Chelsea, NYC. 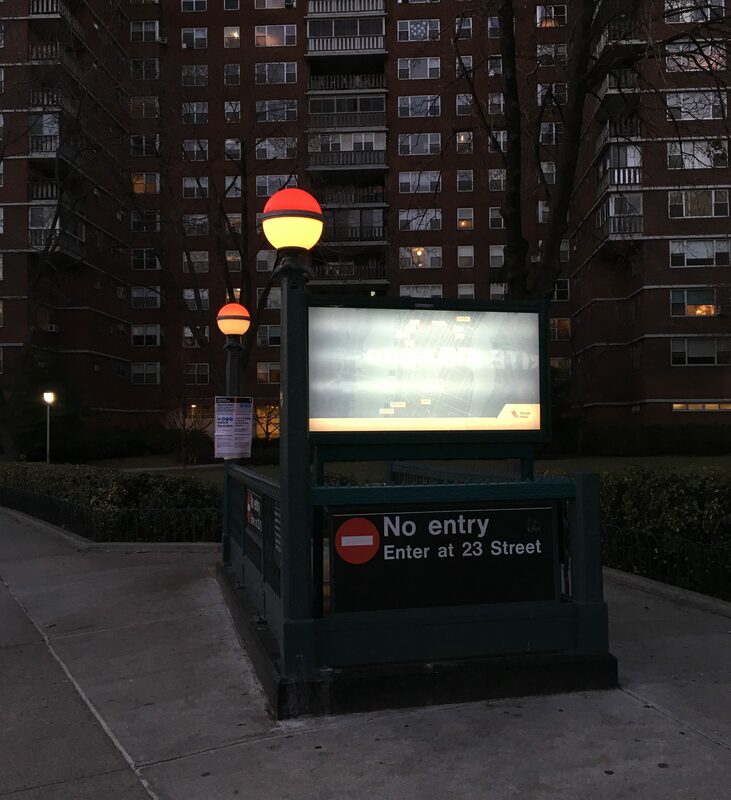 Gotta Catch All The Trains! 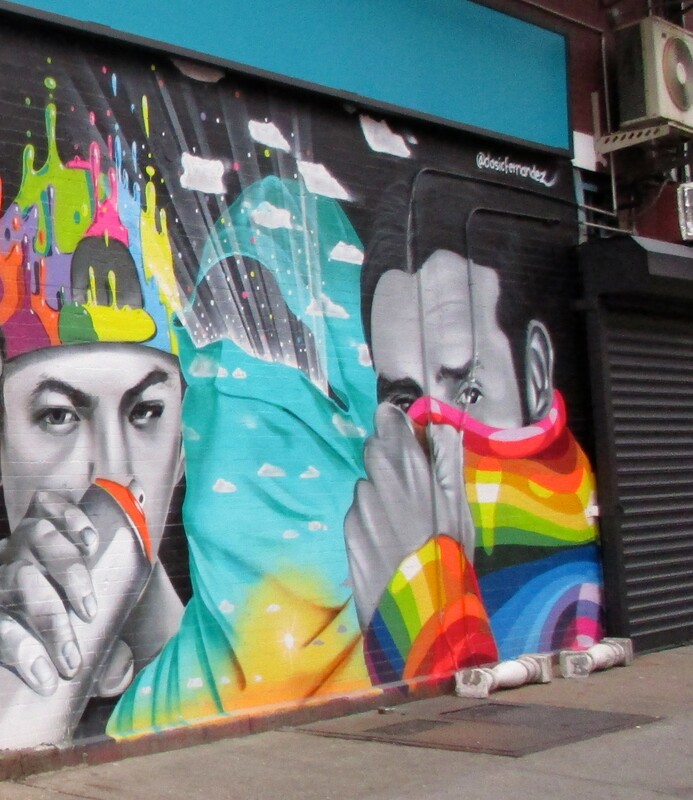 I pass this mural often on the way to the Chelsea Art Galleries, but yesterday was the first time I’ve stopped long enough to photograph it. 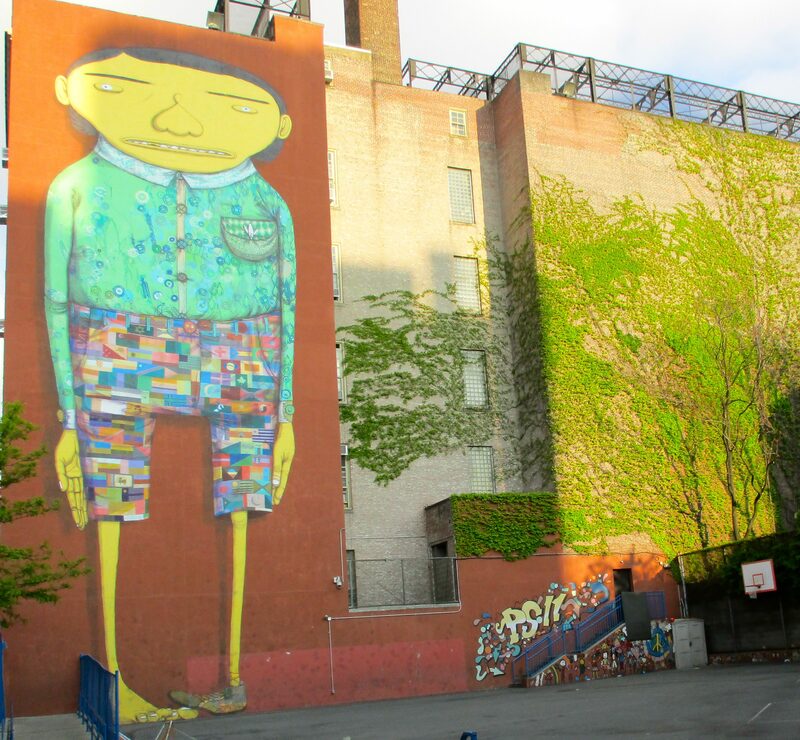 A collaboration between Brazilian Street Artists and twin brothers, Os Gemeos, and American graffiti artist Futura, this fun piece went up in early 2015. 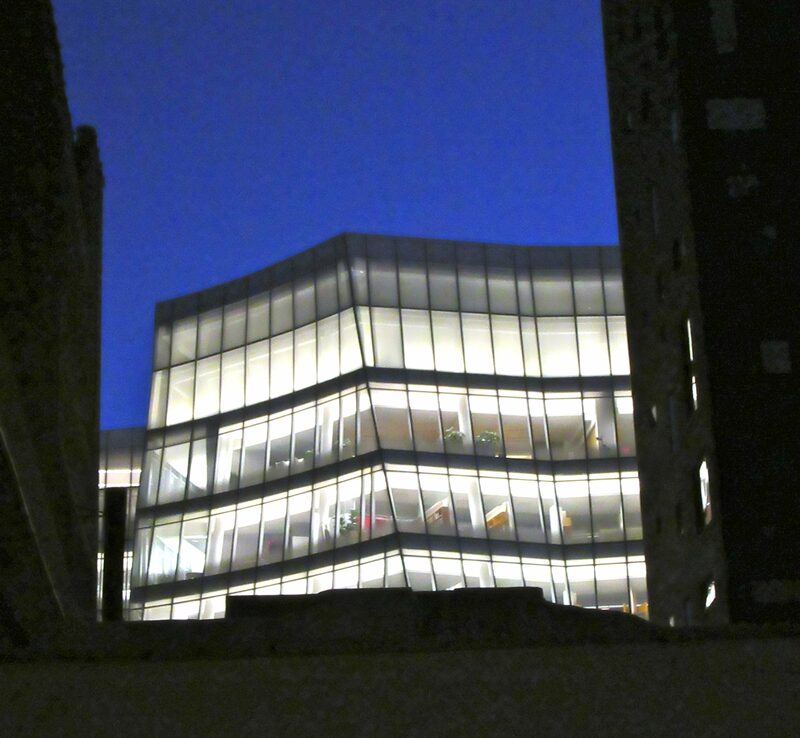 Located Adjacent to the Play Yard of PS 11, at 320 W 21st Street (between 9th and 10th Avenues), in Manhattan. 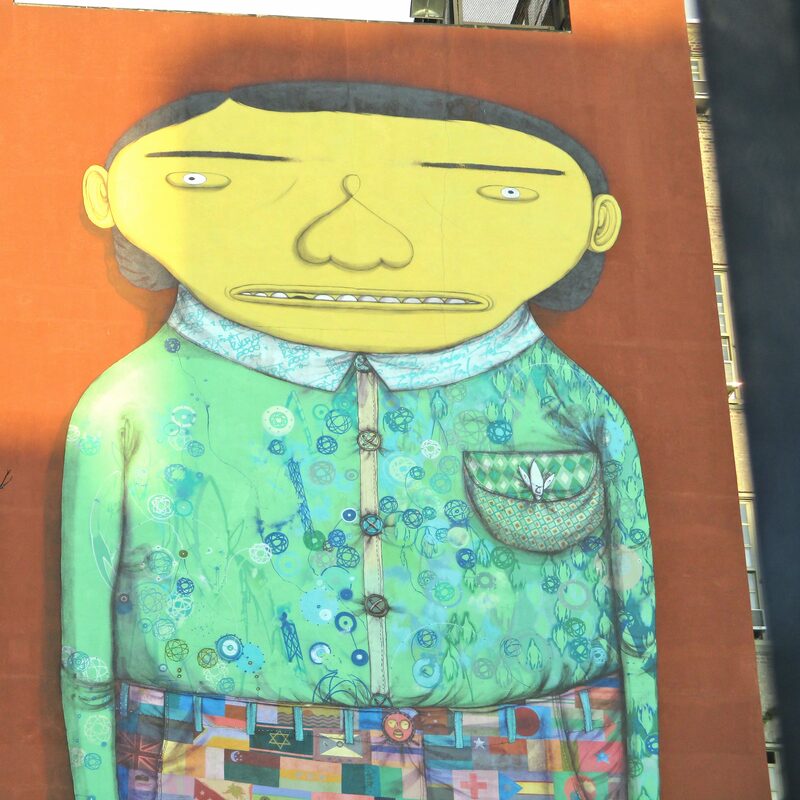 Here’s another one of Dasic Fernandez‘ colorful murals. 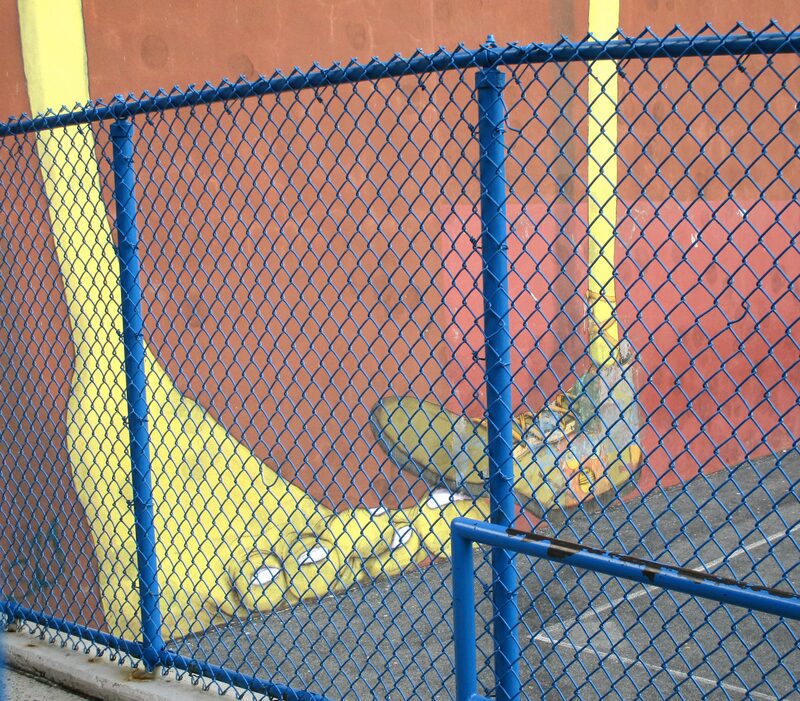 I spotted this one on 20th Street just East of 8th Avenue in NYC’s Chelsea neighborhood. 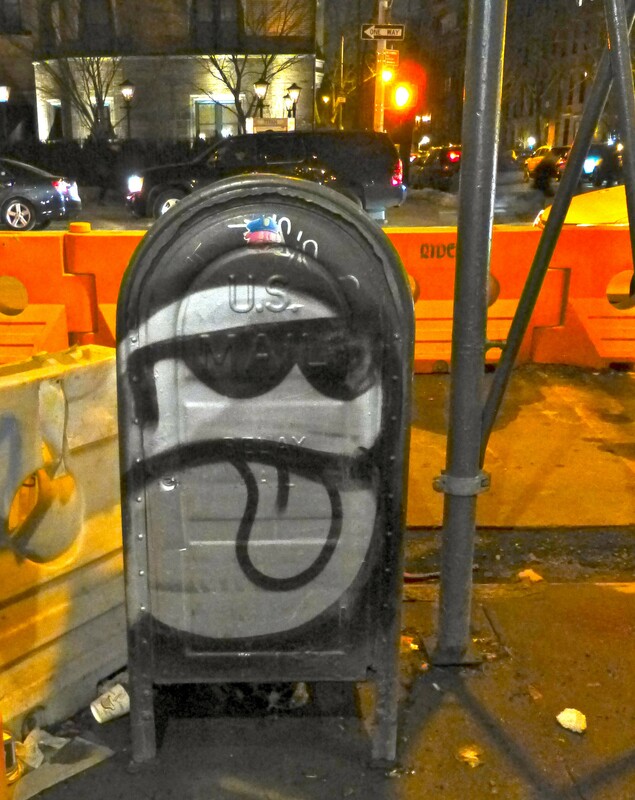 This Street Art Tag of a Silver Sphere sporting Dark Shades and a Protruding Tongue can be seen around the Chelsea Gallery District neighborhood adorning various surfaces, from the above mail box to a van I saw parked just a few blocks from where this photo was taken, at the corner of Tenth Avenue and 20th Street. 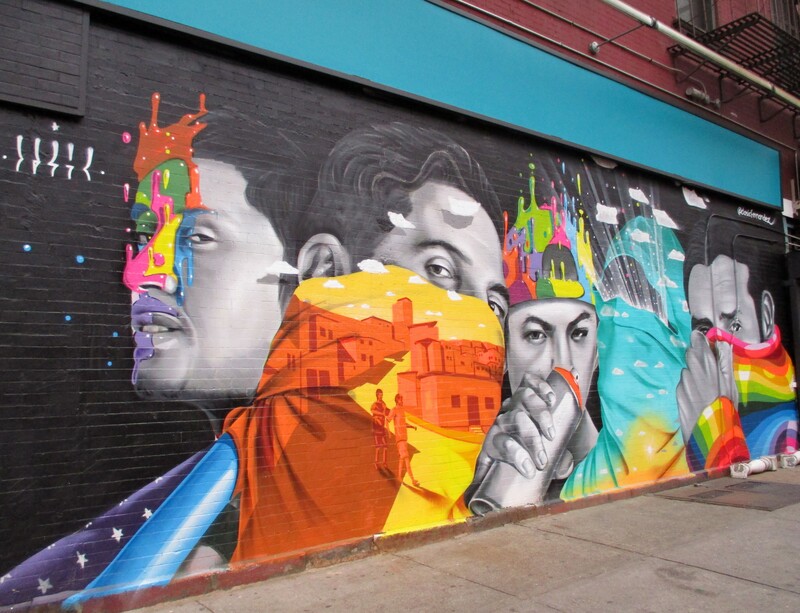 If anyone knows the artist or what this tag is called, please leave it in the comments – thanks! 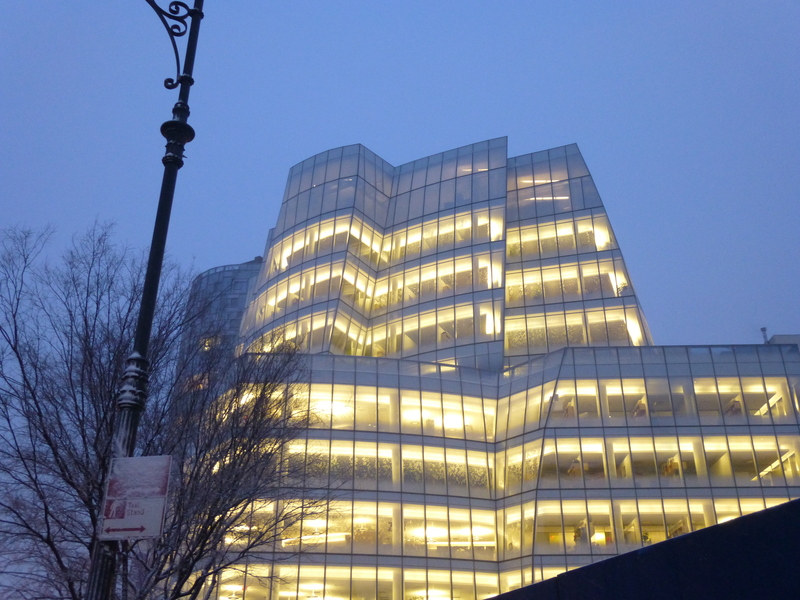 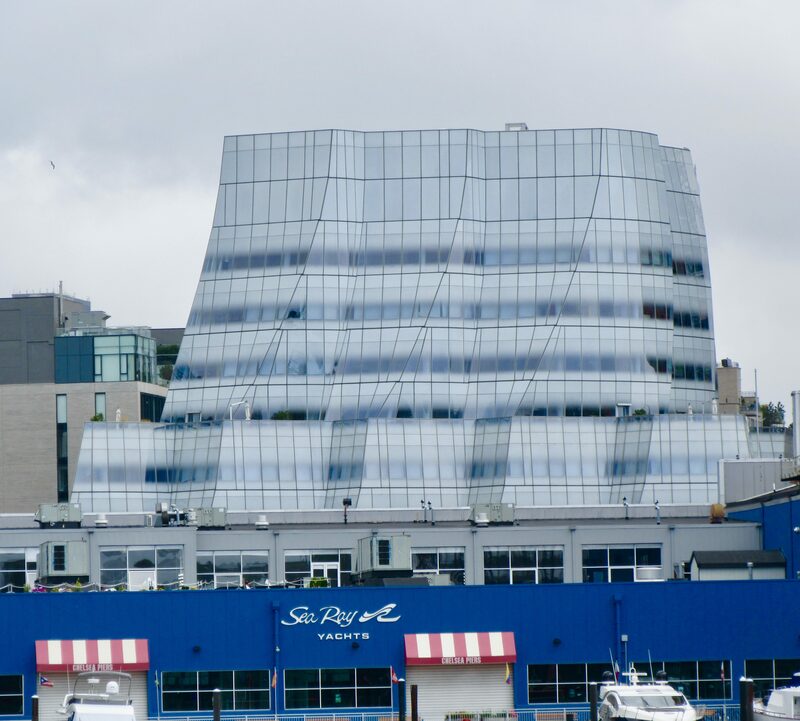 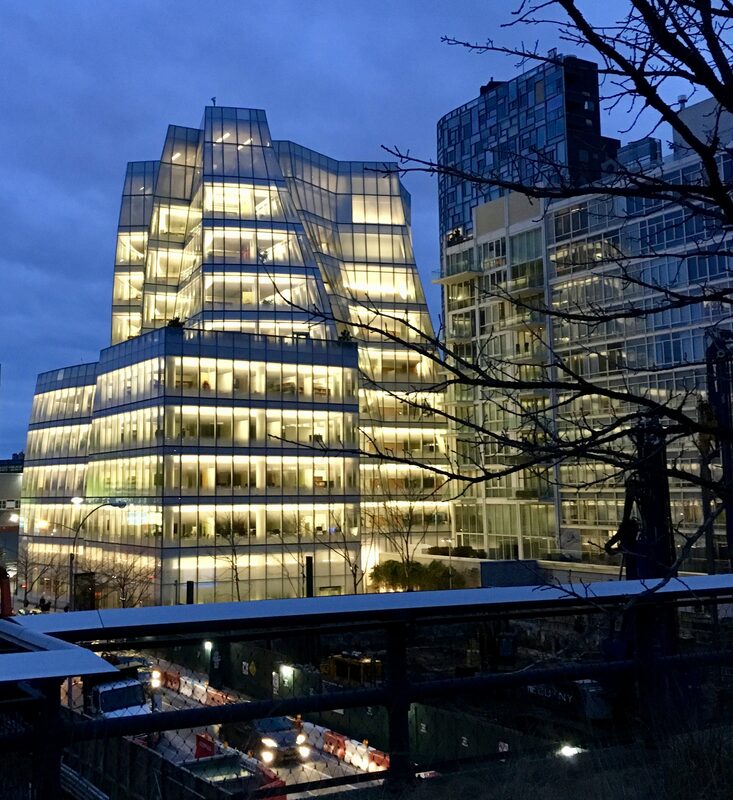 The IAC Building, which is the headquarters for InterAcive Corp, sits on the Hudson River-facing lot on Eleventh Avenue between 18th and 19th Streets. 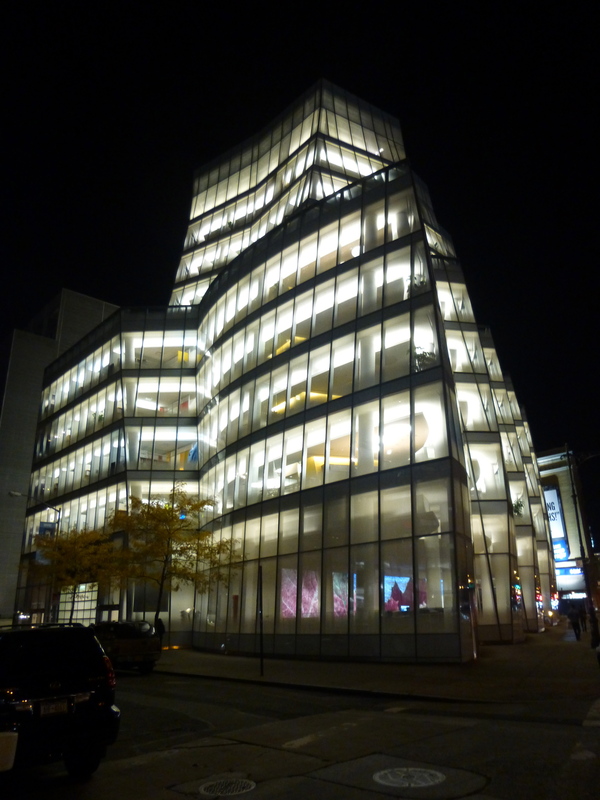 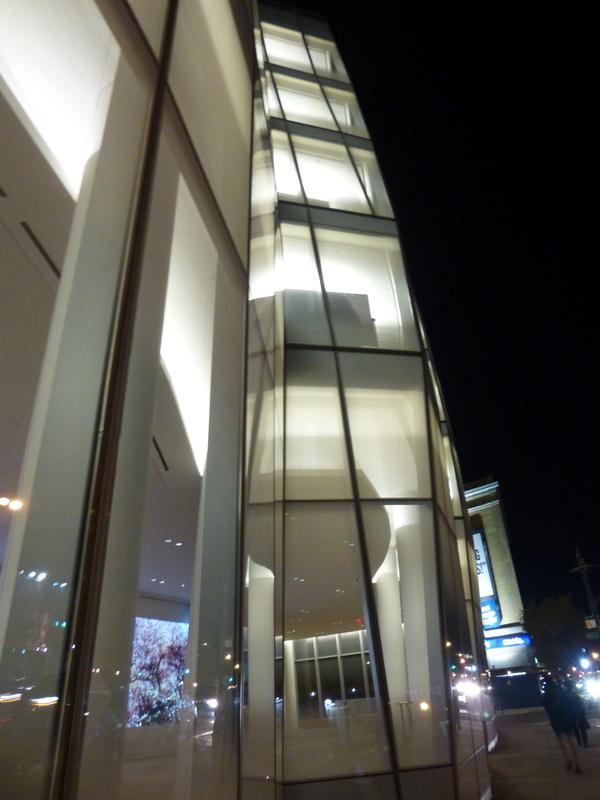 I sometimes pass it when I am gallery hopping and when it is lit up at night it is quite breathtaking to behold. 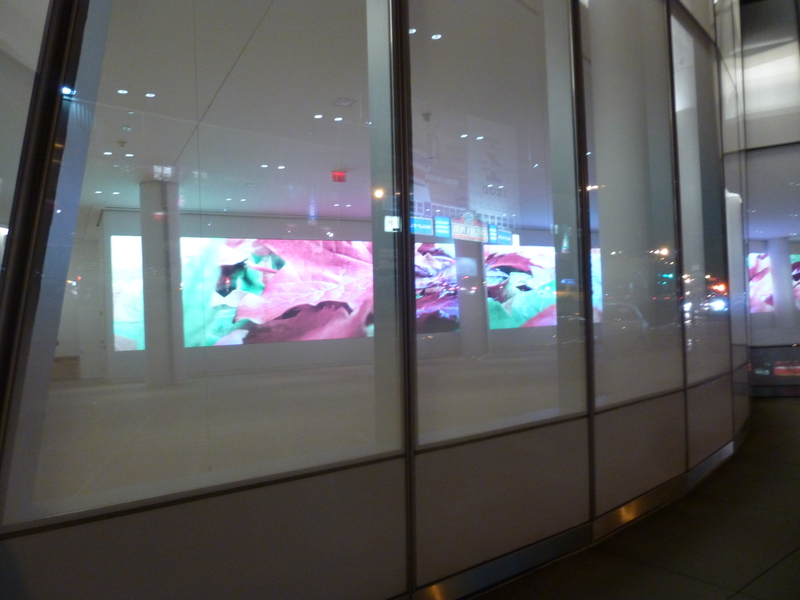 Besides the fact that the building itself is one of the most gorgeous examples of modern architecture in Manhattan, I am also quite charmed by the block-long series of video screens in the building’s lobby, which are visible from Eleventh Avenue. 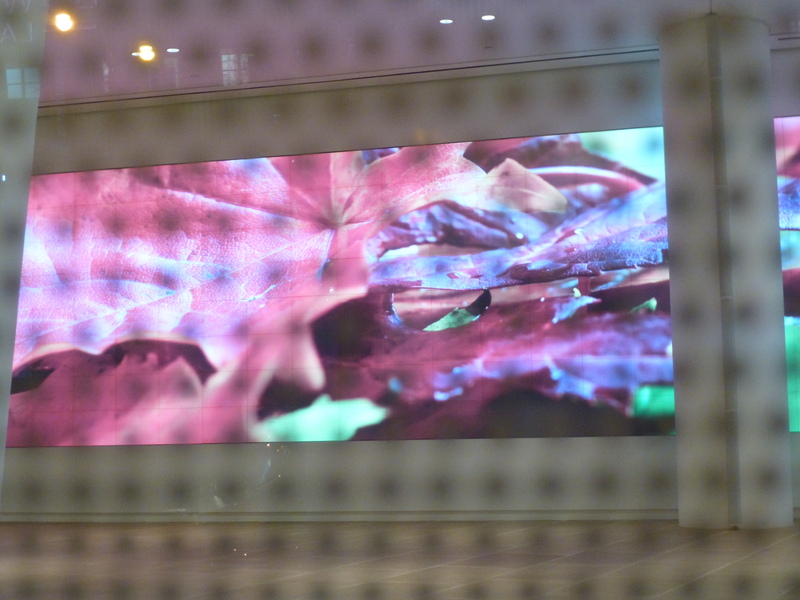 The visuals change all the time, but on a night last fall I snapped few photos of this pink and green set of abstract images. 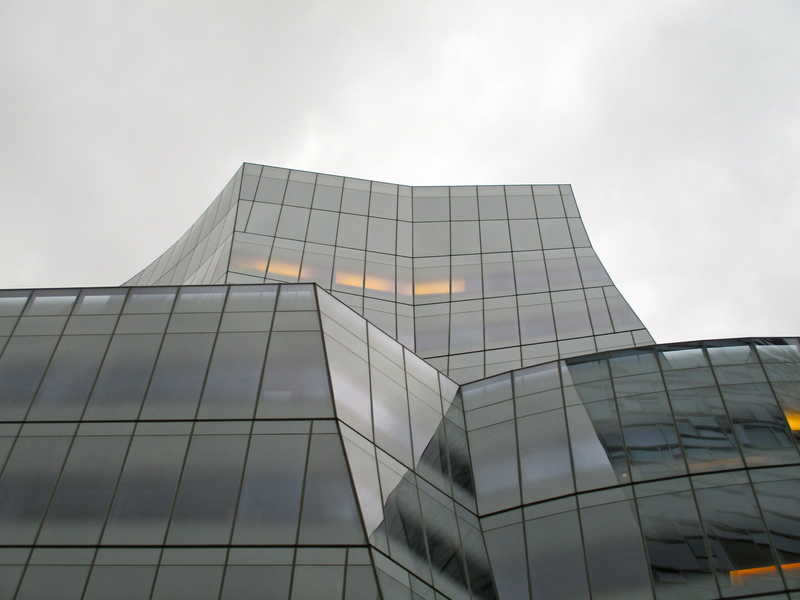 When you get up close to the glass, you can see it is imbedded with little black dots, which I imagine help to shade the interior and add a dimension of privacy during the day. 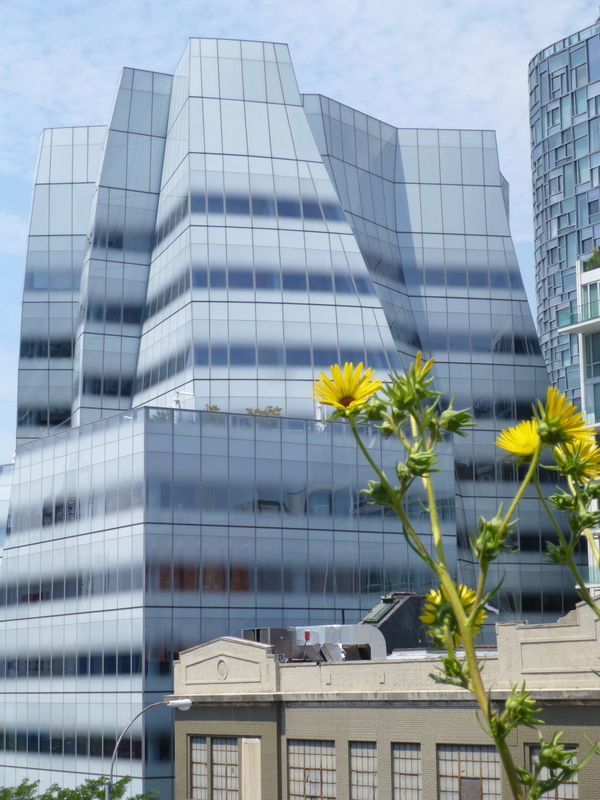 Seen from the middle of the Hudson River in July of 2018!